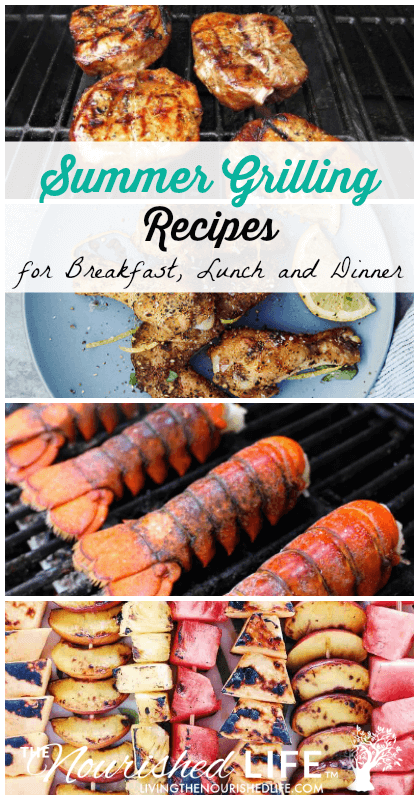 I’ve gathered together a list of over 60 healthy grill recipes for breakfast, lunch, and dinner. Summer is one of my favorite seasons: sun, heat, beaches, and good seasonal food. 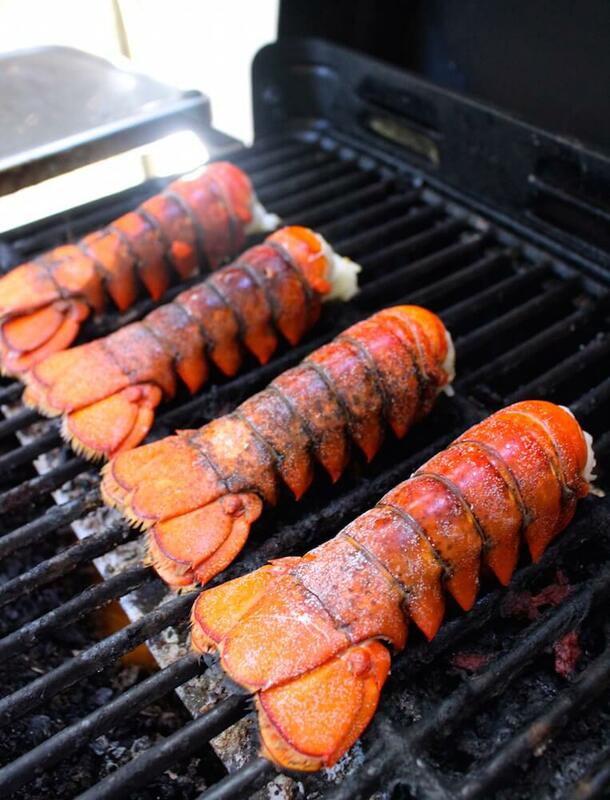 Of course, nothing symbolizes good weather and summer like beautiful day outside grilling! 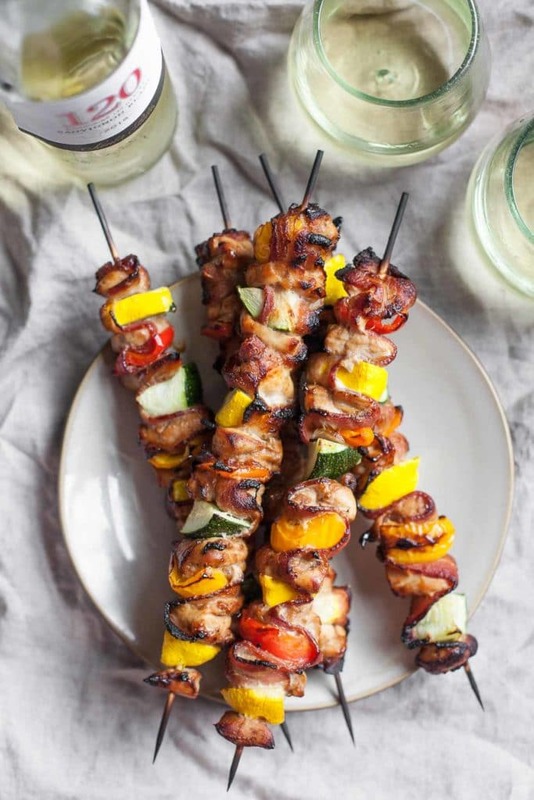 While traditional grilling recipes like burgers and ribs are great and all, it was a lot of fun putting together this list of healthy grilling ideas to include unique and new recipes (as well as some traditional ones!) for putting that grill to good use. 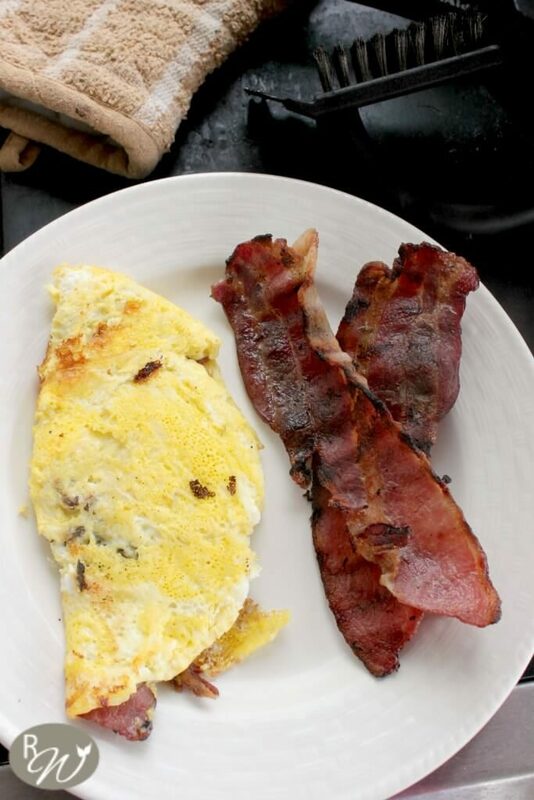 Honestly, when I think about grilling food, I never think about putting breakfast on the grill! 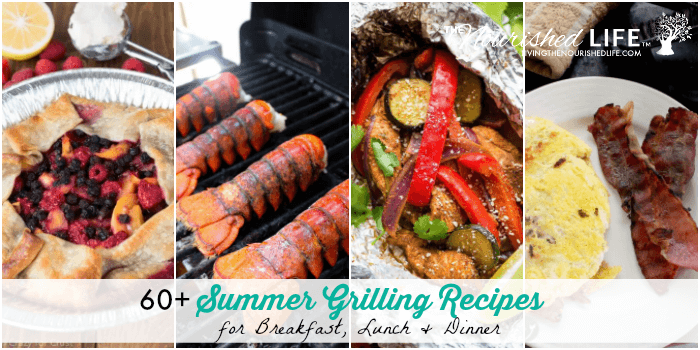 It was a pleasant surprise to find some delicious recipes that use the grill in the morning in order to keep the heat out of the kitchen and soak up the morning sun on the porch. I LOVE the taste of flame-kissed vegetables from the grill. 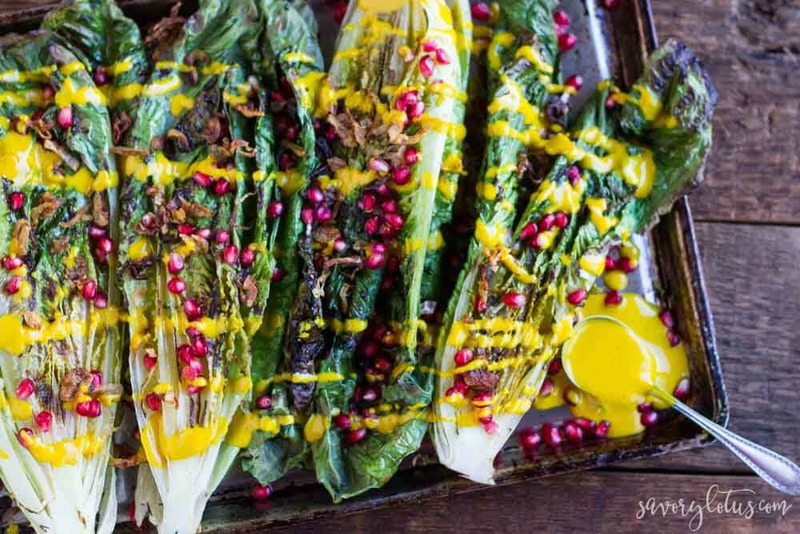 The grill always seems to emphasize hidden tastes in the vegetables. Here’s a list of tutorials about how to grill specific vegetables, since each vegetable is different! Some of the vegetables, like peas(! ), were a pleasant surprise to me. I can’t wait to try it! 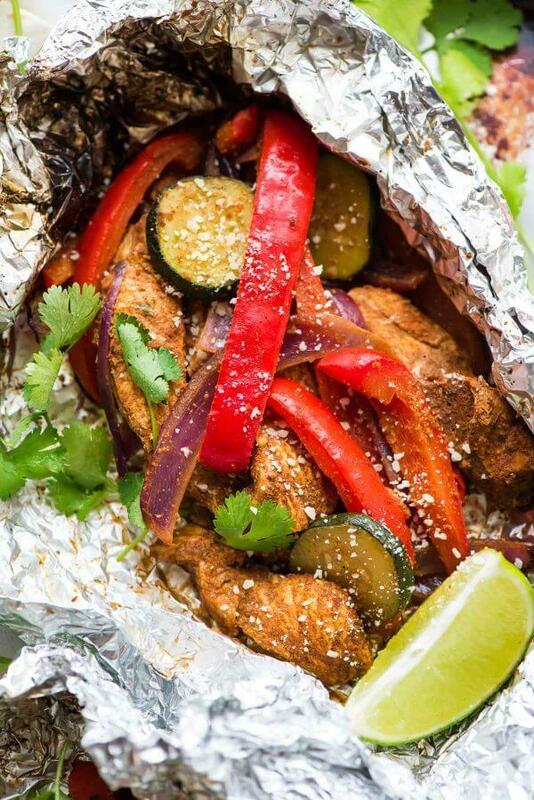 Which of these healthy grill recipes are you going to try? 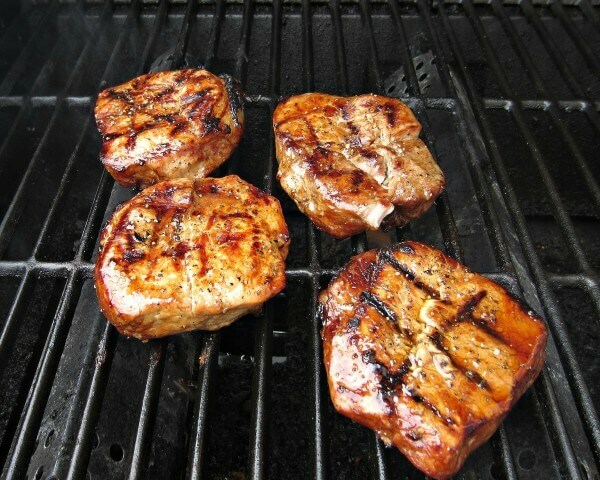 Of course, the most common way to use the grill is to make meaty main dishes. There’s plenty of delicious summer grilling ideas for lunch and dinner, so I’ve made the categories a bit smaller to make it easier to search for the foods you want to cook up: pork, beef, chicken, fish and seafood, misc. meats, foil packet meals, and grilled kebabs. 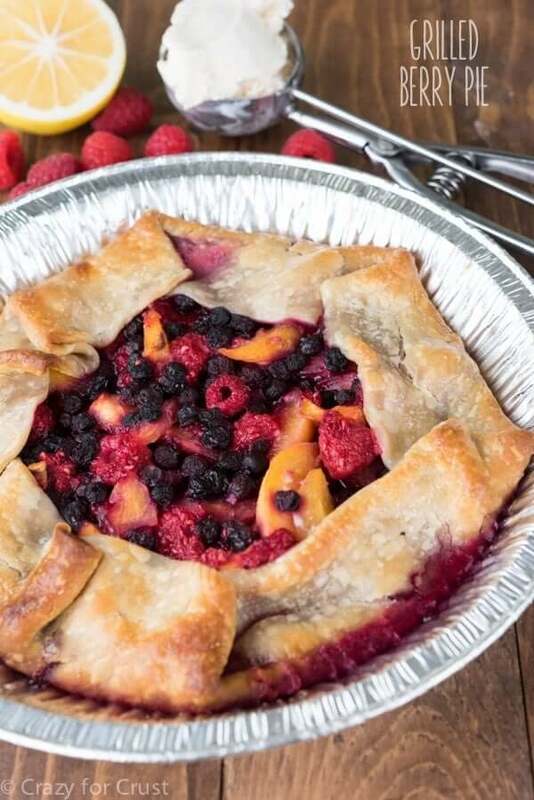 Finally, we end with the best summer grilling ideas of all: dessert! Yum! Yes, you might not go to grilling dessert as your first method of choice – but don’t let that stop you. There are some really creative and delicious looking grilled dessert recipes out there. Enjoy! 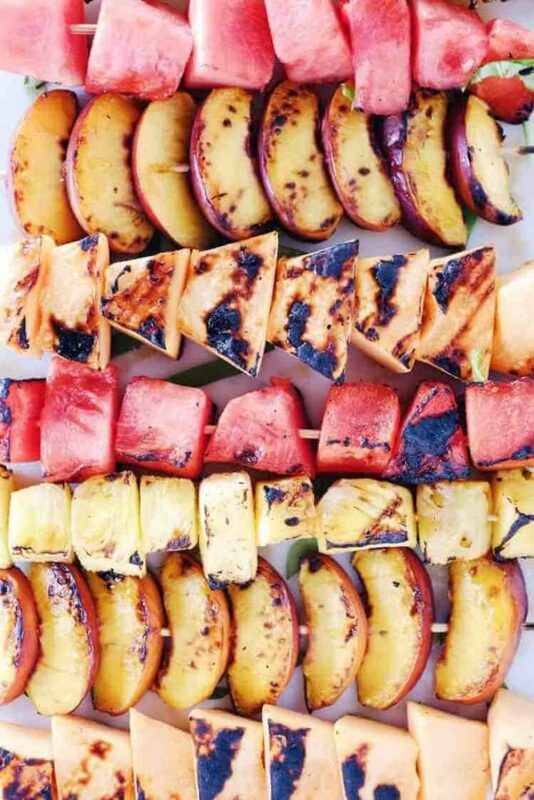 LOVE THESE GRILLING IDEAS? PIN IT! 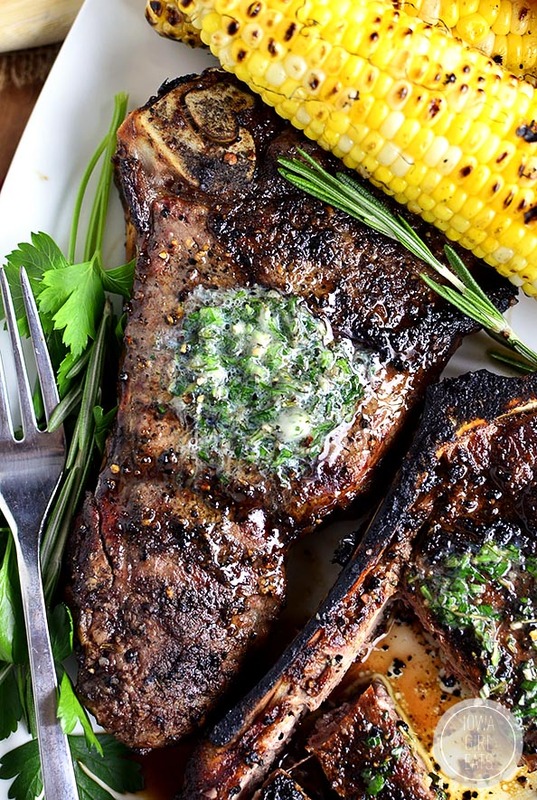 I love grilling and there are so many good ideas here. 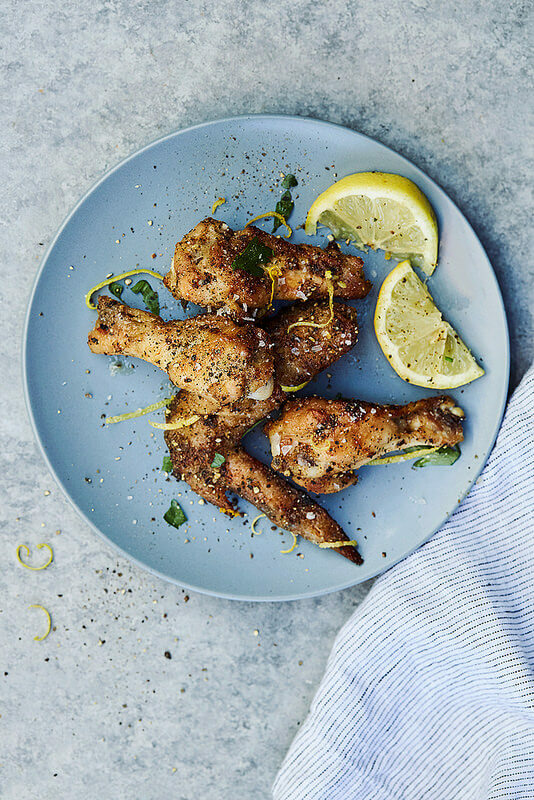 Thanks for the shout-out for some of my recipes!